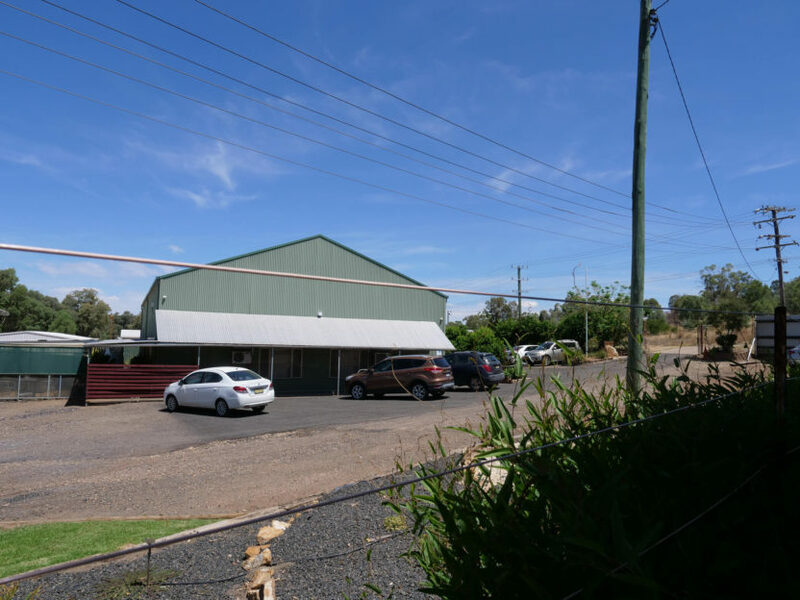 Don’t be fooled by the rough exterior of the buildings onsite at Gunida Gunyah. 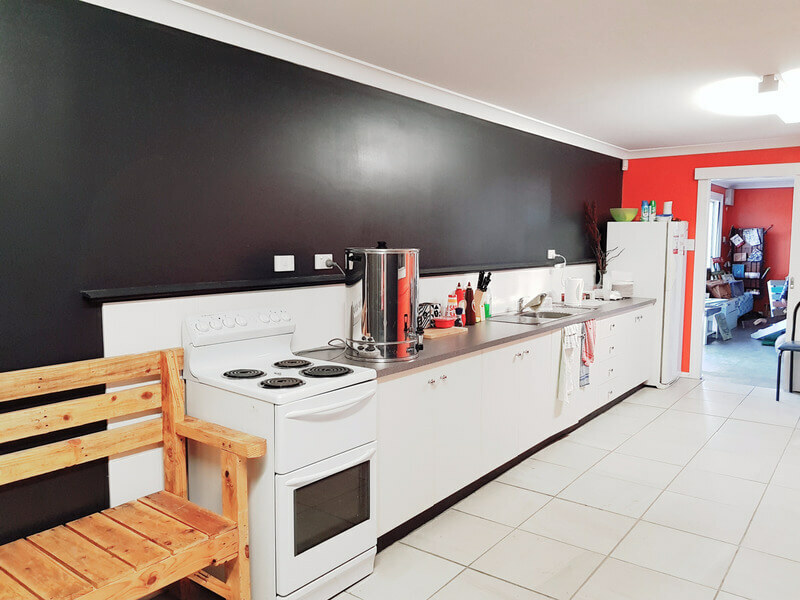 With their shed-like appearance on the outside, you might presume the inside would be of a similar condition; however, you will be pleasantly surprised to find that the interiors are completely refurbished and functional. 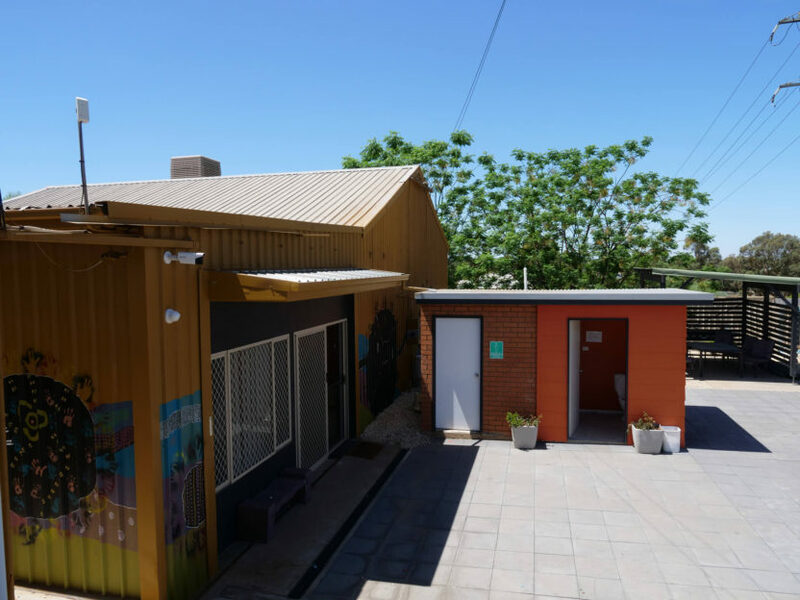 The main “shed” boasts a front reception room, meeting room, multiple working offices, and staff kitchen and toilet facilities. Housing services are located within this building. 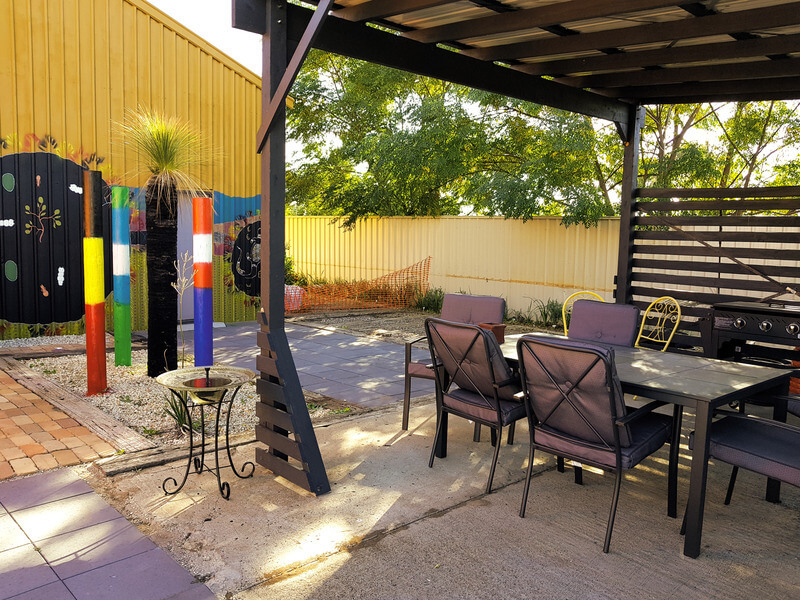 It is hard to miss the colourful private play area that lines the back of the property. 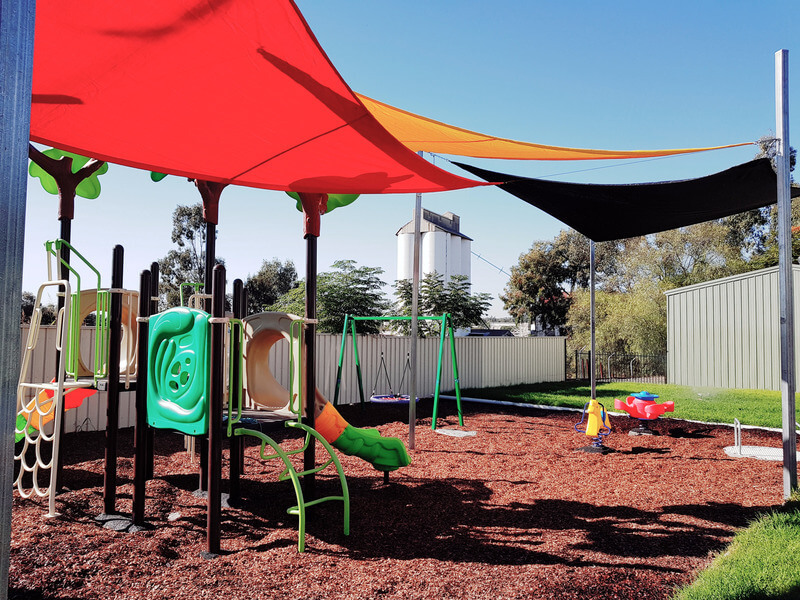 Large red, black and yellow sails swing tall above the play area, providing ample shade throughout the day. 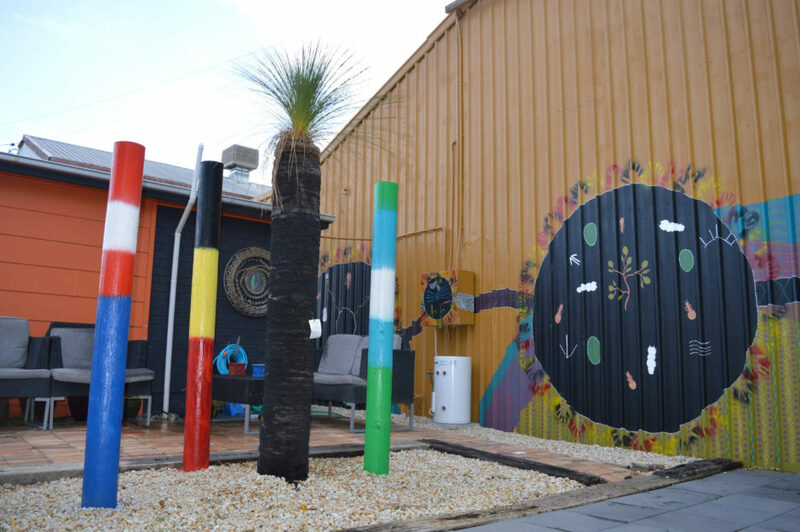 The play area was developed by staff in conjunction with the work for the dole program in 2017. 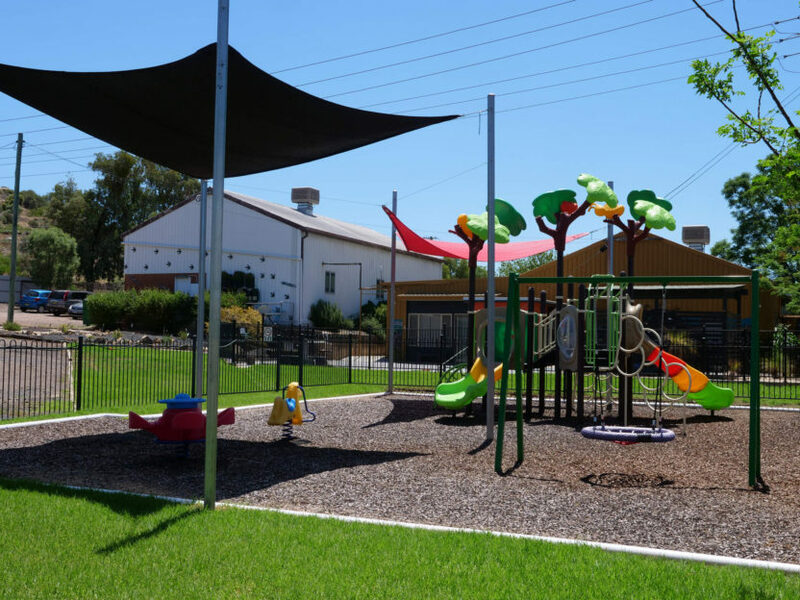 This great initiative allows our tenants and clients to keep children occupied in a fun and safe environment, whilst speaking to our staff on site. 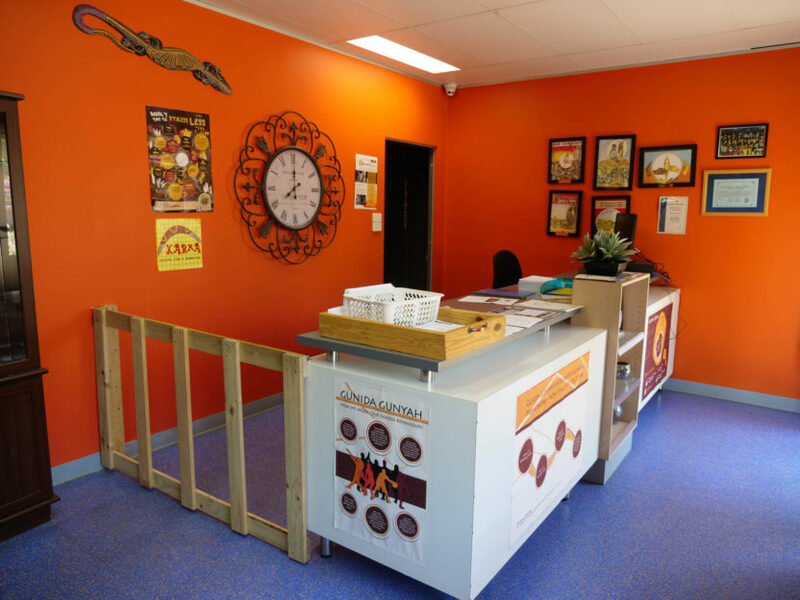 Our tenants and clients are welcome to use the play area during business hours. 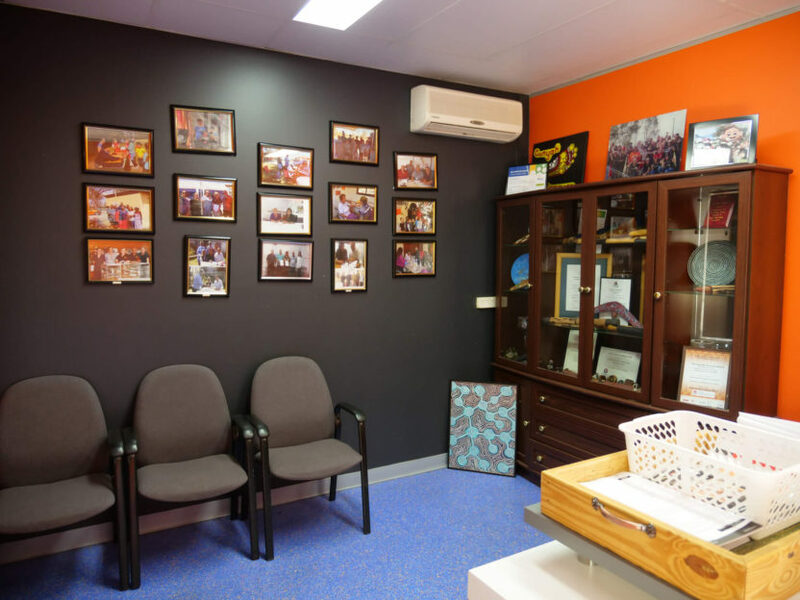 The work for dole program redeveloped the interior of the Community Building situated onsite. 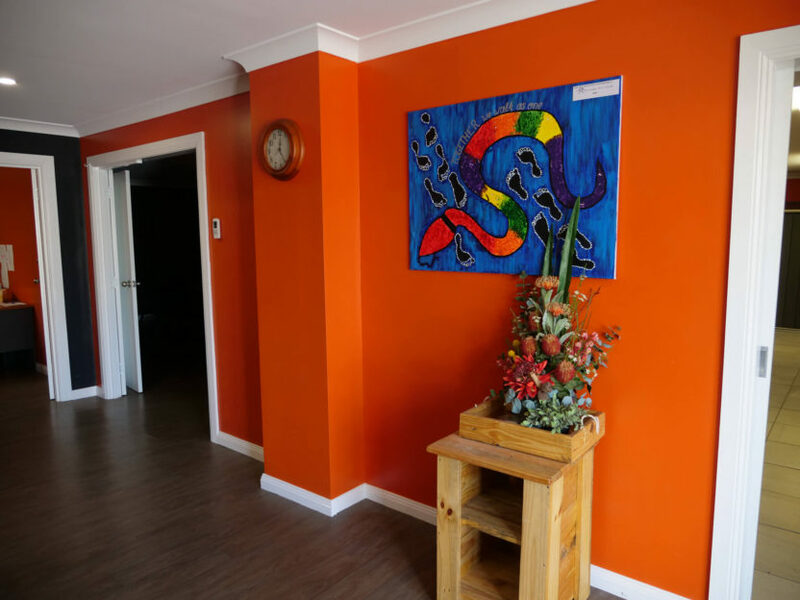 The building features a front reception room, large training/meeting room, working offices and kitchen and toilet facilities. 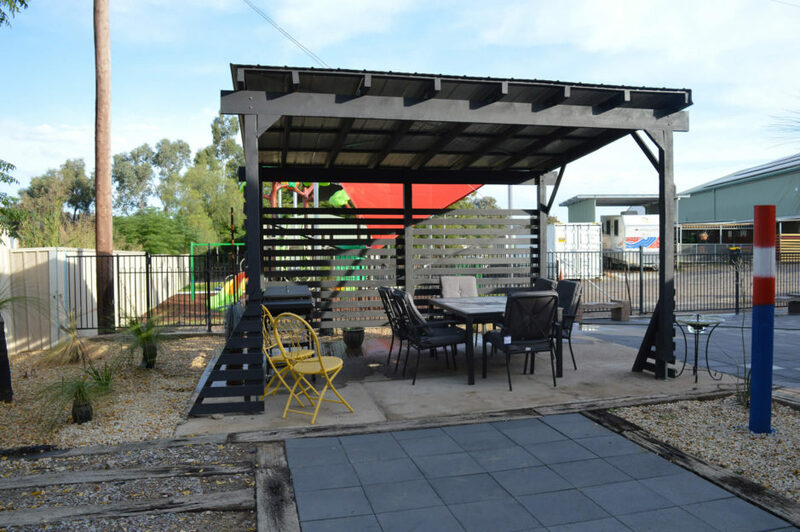 A grant from the social Housing Community Improvement Fund allowed the exterior of the building to be upgraded to include a fully fenced paved outdoor entertaining area complete with an undercover barbecue area, native plants and fruit and vegetable garden beds. 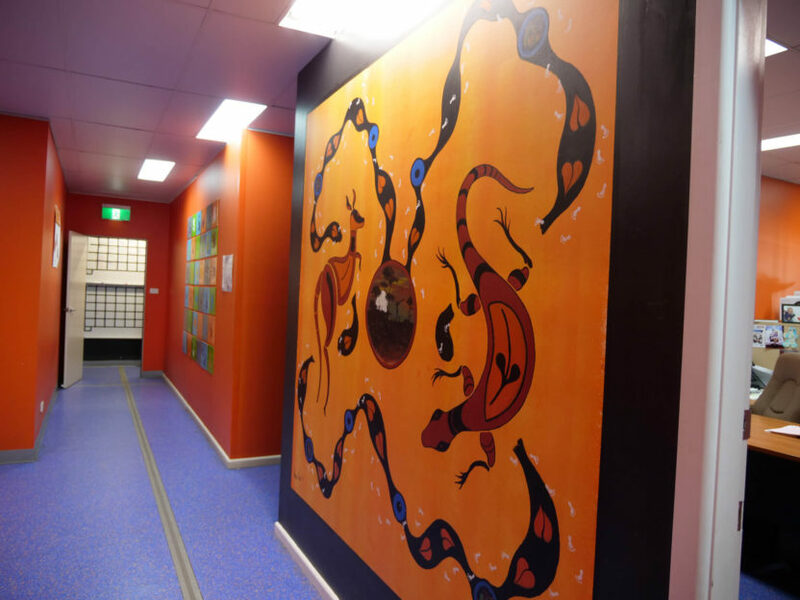 Tenants and community members joined staff to paint the exterior of the building – giving it a warm, cultural feel aspect. 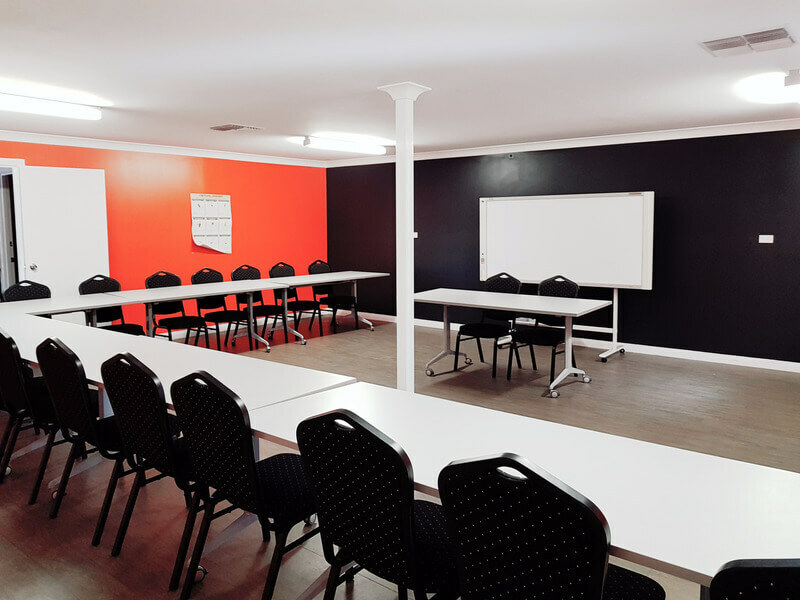 The community building facility is available for hire for meetings, training and private functions. Equipment is available for all of your conferencing needs including projector, access to Wi-Fi, tea and coffee urn, tables, chairs and tableware. Catering can be organised for an additional fee. 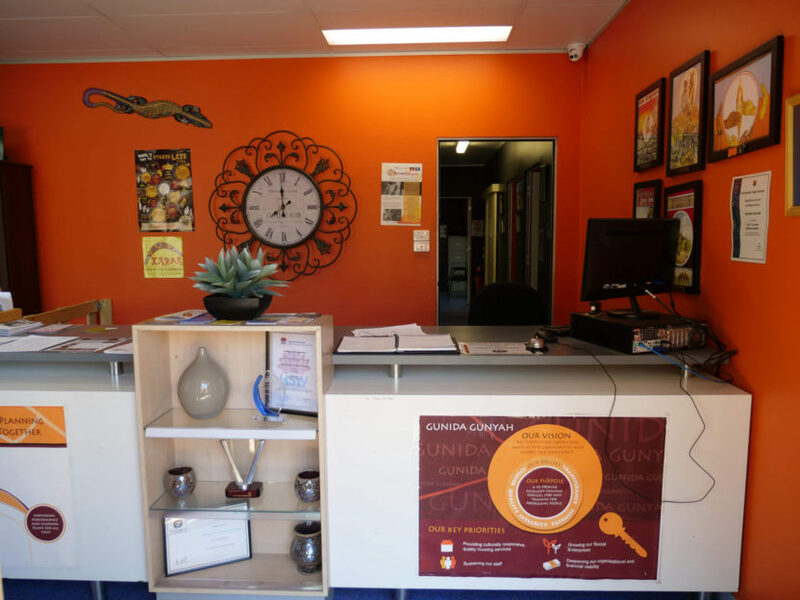 Non-for-profit groups and organisations may apply in writing to have the hire fee waived. 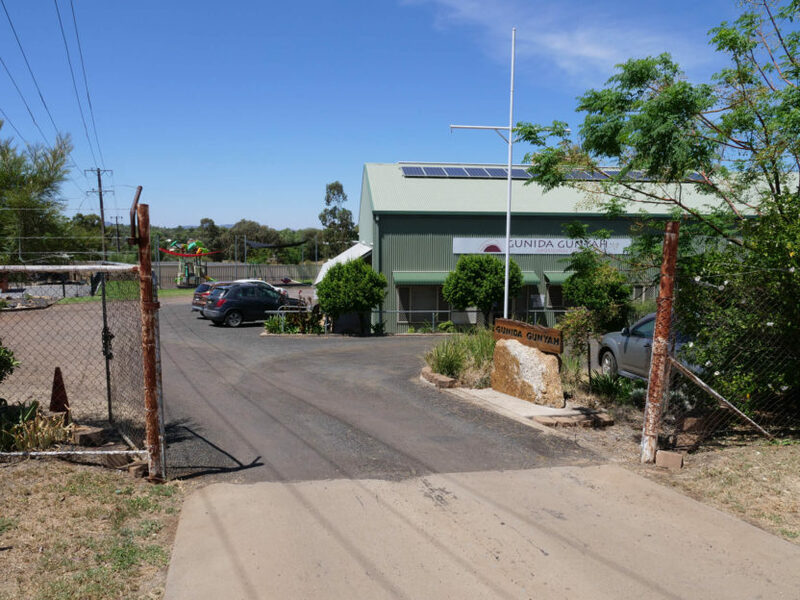 To enquire about the availability of the community building and to obtain a quote, please contact the office. Please note that alcohol onsite is strictly prohibited.